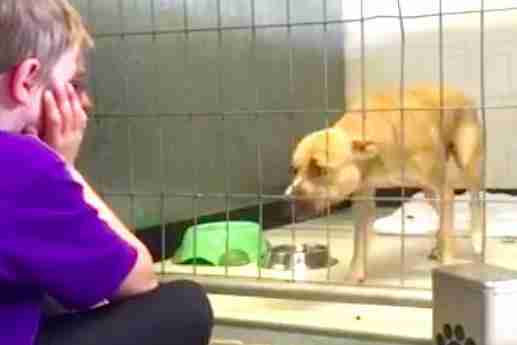 After wandering the streets for who knows how long, Nala was terrified and exhausted. 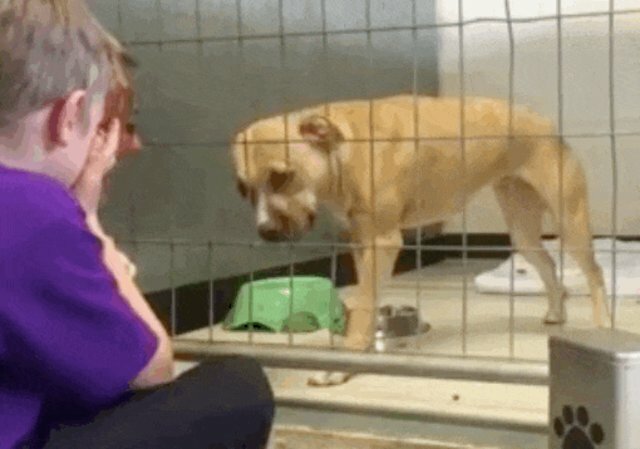 When she was brought to Christchurch Bull Breed Rescue, a shelter in New Zealand, she was too sad and scared after her ordeal to get close to anyone. 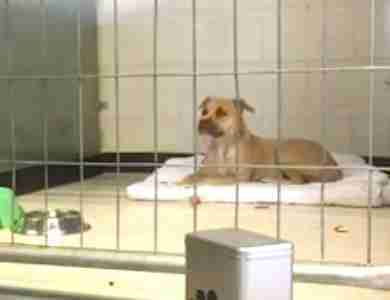 Even though Abbey van der Plas, the owner of the animal shelter, tried to get Nala to perk up, she just sat in her cage. "This girl arrived with us a few weeks ago. She had been wandering the streets for some time and was extremely shut down and terrified," van der Plas posted on Facebook. 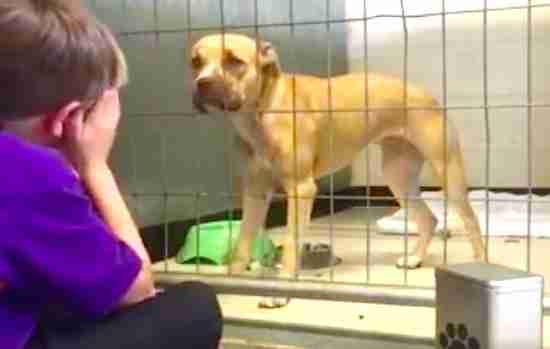 "I spent her entire first and second day sitting on the floor trying to gain her trust. I took hours and hours of footage trying to catch 'the moment' that she decided to trust me." But Nala wasn't budging. So van der Plas brought Zach, her 7-year-old son, in to help. What happens as soon as Nala sees Zach come into the room is truly incredible. The moment Nala sees Zach, she totally transforms. Since this encounter, just a few weeks after Nala's rescue from the streets in March, Nala has been learning to trust people again, thanks to Zach. With Zach's help, Nala's finally ready for a forever family of her own. The once-terrified pit bull is up for adoption. To learn how you can adopt Nala, click here. To learn more about Christchurch Bull Breed Rescue, click here.